We install and support MySQL infrastructure. Host your MySQL database or websites with us. Sign up for a sites account. MySQL Community Edition is a freely downloadable version of the world's most popular open source database that is supported by an active community of open source developers and enthusiasts. We’ll always keep MySQL up to date and tuned for maximum performance. Host your MySQL Community Server 8 database on our blazing fast server for 300% faster load speeds! Whatever your development platform is, we’ve got you covered. Our powerfull servers are especially optimized and ensure the best MySQL Community Server 8 performance. We have best data centers on three continent, unique account isolation for security, and 24/7 proactive uptime monitoring. Our support team is extremely fast and can help you with setting up and using Nucleus on your account. Our customer support will help you 24 hours a day, 7 days a week and 36Community Server 8 days a year. 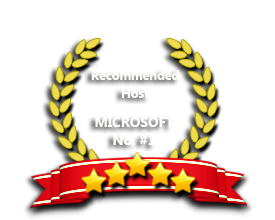 Our Windows Cloud Hosting fully supports MySQL Community Server 8 hosting. You are more than welcome to try our Free Windows Cloud Hosting before you decide to buy. You can get your Free Cloud Windows hosting account up and running within the next few minutes.